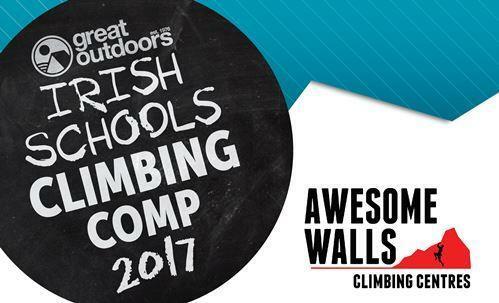 Ahead of the introduction of climbing in the 2020 Olympics, our friends in Awesome Walls and Mountaineering Ireland have asked us to join up with them and sponsor the first ever Irish Schools Climbing Competition. It takes place in Awesome Walls Dublin on May 18th and schools are invited to enter teams of 4 although, individual entries are also permitted. Senior Secondary (TY and leaving cert). and ranking will be on an individual and team basis. To compete in the Team event Schools should enter teams consisting of 4 climbers. Each team must consist of participants intending to compete in the same event category. Teams can be single or mixed gender. Schools can field as many teams as they wish. The competition will consist of a number of roped climbing and speed climbing challenges. Spot prizes on the day and a great atmosphere guaranteed! Click here to find out more information and enter a team on behalf of your school.